A cultural icon; forbidden fruit. The apple has quite a history! It also happens to be one of my favorite foods to put up. Dried, sauced, buttered, and baked, the delicious possibilities are endless! Last fall was the first time I had canned my apple pie filling. In years past I would follow the recipe given below but instead of processing in a bwb, I allowed the mixture to cool and then filled Ziploc bags with 2.5 cups filling and froze for future baking needs. If you decide that the freezing method is the way to go, just be sure to follow this oh-so-important final step before filling your pie shell or else your pie will become a watery mess! Mix 1/4 cup granulated sugar with 1/4 cup clear jell; the additional sugar keeps the clear jell from clumping when added to the filling. Stir mixture on medium-high until thickened. 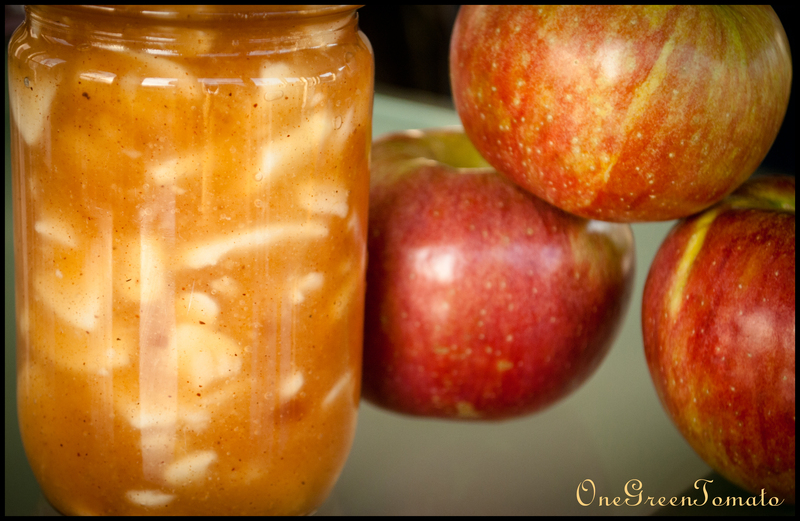 6 quarts fresh apples – in case you’re wondering, Cortland apples make the best pies! Wash, peel, and core your apples. I use one of these nifty all-in-one contraptions and wouldn’t have it any other way! Last fall I canned apple mincemeat and prepared my apples by hand; NEVER AGAIN will I make that mistake! Not only did it take forever, but my hands were so tired! Place apple slices in a large bowl of water containing ascorbic acid to prevent browning, drain, and set aside. 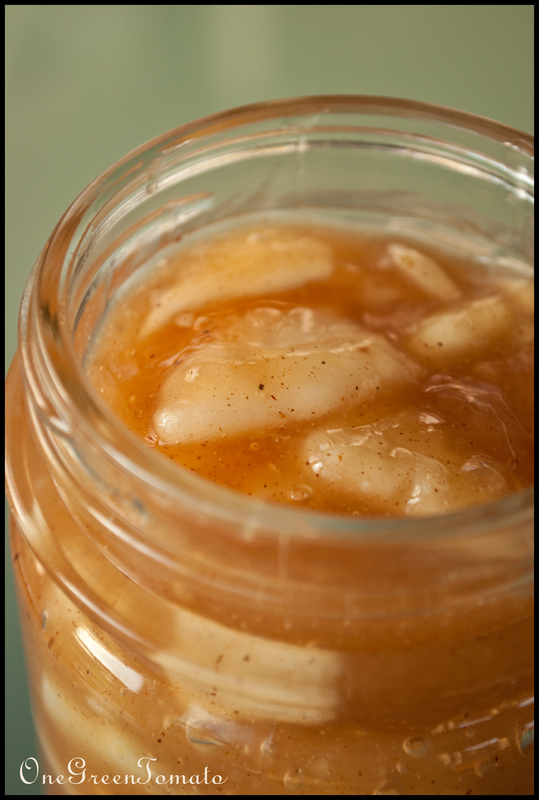 In a large pot combine sugar, clear jell, cinnamon, nutmeg, water, and apple juice. Stir ingredients until well blended and cook over medium-high heat until mixture begins to thicken and bubble. Add lemon juice and boil for 1 minute, stirring constantly. Fold in drained apple slices, mix well and immediately fill prepared jars leaving 1-inch headspace. Wipe rims, adjust two-piece lids, and process in a boiling-water bath for 25 minutes. Remove jars and place on a wire rack, undisturbed for 12-24 hours, so seals may properly set. I cracked open my first jar about 2 weeks ago for a baking adventure and I was very pleased with the outcome. Unfortunately, before I can share that delicious recipe I first need to share the two canned stars that made it shine! Images and content copyright © 2013 Danielle R Limoge. Recipe adapted from USDA’s Complete Guide to Home Canning and Food Preservation.